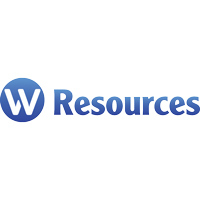 W Resources Plc (LON:WRES), the tungsten, copper and gold, production, exploration and development company with assets in Spain and Portugal, is pleased to announce that tungsten concentrate production has successfully commenced at the La Parrilla mine in Spain ahead of schedule. Production of tungsten and, subsequently, tin concentrate is expected to ramp-up over the next 6 months to reach a run rate of 400 tonnes per annum (‘tpa’) in early Q2 2017. The new crusher with capacity of 1.95 ROM will be installed early in 2017, significantly reducing unit operating costs and increasing capacity. Plant engineering and procurement to expand the plant to 2,500 tpa (1.95 mtpa ROM) by mid-2017 is advanced and equipment finance is now planned for both the crusher and the jig and mill procurement packages. Discussions in respect of financing are advancing well, in line with tight specification of vendor supply packages. Michael Masterman, Chairman of W Resources Plc commented: “It is a great milestone to see a smooth plant start-up and first tungsten concentrate production. While there could be many ramp-up challenges over the coming months, we have a skilled and committed team in place to increase production and lay the groundwork for a substantial increase in production in 2017”. Michael Masterman will be presenting at the MiningMaven Gold & Tungsten focused Investor Evening on Thursday 22 September 2016. The presentation will be held at The Cote Brasserie, 26 Ludgate Hill, St Pauls, London, EC4 from 6.00pm to 9.00pm.